The new top-tier competitor to Science and Nature proposed by three leading funders of scientific research last week is a great idea, but I think runs a risk of opening the scientific process to a potentially damaging slander by opponents of science. As practising academic scientists we’re all concerned, and intimately entangled, with the scientific publication process. We are authors, reviewers, editors, sometimes journal chiefs and, in a very real sense, our entire careers may hang upon whether and where our work is published. Impact factors, journal reputations, author counts and ordering, and other actuarial metrics are foremost in our minds every time a promotion case or job application is submitted. The cost of publishing work raises its head every time we have to dip into consumables to fund a colour figure. Each time we submit to peer review we set sail anew, all paranoid, on the Sea of Judgement by Anonymous Colleagues and Competitors. We are, as a group, highly sensitive to changes in the scientific publishing ecosystem. So it’s no surprise that the scientific world and its experimental dog have opinions on this potential competitor to Science, Nature and Cell. And, at first glance, the new journal could be a beautiful thing. The journal is planned to be fully Open Access, underwritten at least initially by the funding bodies, so there will be no, or reduced, author charges. Author charges can be a problem where projects lack money allocated to publication costs. I’ve usually been lucky enough to obtain support for Open Access publication, but this still adds a level of political and financial consideration when deciding where to submit work. Where funding bodies require OA publication (and this is increasingly a condition of funding) I think it is only right that they support this route financially, and the Howard Hughes Medical Institute, Wellcome Trust, and the Max Planck Society are to be congratulated for taking this stand. 1) Rapid review and turnover: I think there’s a realistic chance, particularly with a financial incentive, of encouraging scientists to prioritise reviews for this journal, reducing turnaround time. And if there’s a flat payment to the reviewer per manuscript reviewed, then there’s no perverse incentive to cycle through rounds of revision. I think this will work, but I do share Eisen’s worry that uncompensated review requests from other bodies could come somewhat down the list of Things To Do Today, as a result. 2) Fewer demands for changes and additional experiments: The press release from the funding bodies states their desire to limit reviewers’ calls for more work. But really, if a piece of work is unconvincing because it lacks a key experiment, then that’s the fault of the work and not the fault of the review process. 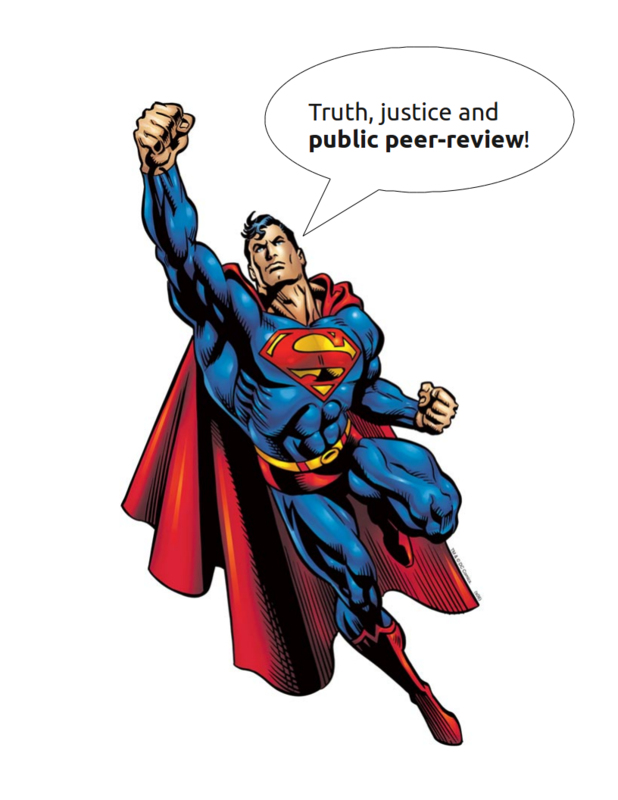 A competent peer review process would bounce the manuscript until the supporting evidence is provided. All that an editorial policy of fewer requests for changes and experiments can do is either accept a manuscript with insufficient support and so dilute journal quality, or reject at an earlier stage in the process. 3) Arbitrary editorial decisions on the grounds of sexiness: The new journal will have an editorial team of experienced, active scientists, rather than “junior scientists who are no longer active researchers”. This is quite obviously a pointed comment about the editorial composition of publications such as Science and Nature, rather than fair comment about scientific publication on the whole. Most journals I deal with have editorial and review boards comprising active researchers, and I believe that outside the usual extremely high-impact suspects, it is the norm to have an editorial panel of experienced, active scientists. I don’t see this policy being particularly ground-shaking. Where I think that the new journal will shake up peer review is in its intent to publish reviewers’ comments publicly, but anonymously. This cuts both ways: authors will no longer be able to “get away with” ignoring potentially serious criticisms from a minority reviewer, unnoticed, after publication; But nor will poor or unreasonable reviewers be able to hide behind the opaqueness of the current review process. If readers can comment on or rate the quality of reviews, as well as papers, honest and insightful reviewers could be rewarded at the expense of the half-hearted and overly pedantic. But I do have one serious criticism, which comes not from being a scientist, but instead thinking about how the public sees science. In recent times, public trust, or rather the lack of it, in science as a human endeavour has been exemplified by the events of ClimateGate, and European attitudes towards genetic modification. Popular media presentation of difficult ethical issues in science is, well, difficult, and it’s useful in the face of criticism to be able to fall back on demonstrable claims of the independence of results from financial inducements, and the anonymity and stringency of peer review in journals that are disinterested in the outcome of our work. And that is where I think the new journal risks offering an easy target to those who would seek to undermine public confidence in science. In 2009, it was revealed that the publisher Elsevier had been paid by the pharmaceutical company Merck, Sharp and Dohme to “produce several volumes of a publication that had the look of a peer-reviewed medical journal, but contained only reprinted or summarized articles–most of which presented data favourable to Merck products” : The Australasian Journal of Bone and Joint Medicine. Intuitively, suspicions of vested interests can be expected to arise where there is no obvious and transparent independence in the chain that links the funder of research to the lab that carries out that research, and to the journal that publishes it. Even PLoS Medicine‘s policy on research funded by tobacco companies perpetuates this common perception that, unless the source of funding can be decoupled in some way from the outcome of research, and ‘review’ for publication, then publication amounts to little more than advertising. When a piece of work is carried out by scientists funded by body X, reviewed by scientists funded by body X (who are even paid to review the paper by body X), and published in a journal bankrolled by body X, this intuitively looks like self-publication or advertising by body X. Where ‘body X’ is “Big Tobacco”, or “Big Pharma”, the conflict of interest is so self-evident that it has become a cliché. When ‘body X’ is “HHMI/Wellcome/MPS”, as a scientist I recoil at the potential association of such respected investors in science with cheap and shady practices. I don’t have any doubt that, as the journal’s press release states, the “editorial team will be editorially independent of the funders”, and that all published manuscripts will be competently assessed and of the highest quality. But from the point of view of those outside the circle of science, there is always an option to suggest sleight of hand, however ethically clean the journal is. Without independence and transparency in the cycle of funding and publication, we risk delivering an opportunity for slander into the hands of those who would undermine science for political goals. DISCLAIMER: L.P. adds that the views represented here are his own, and do not reflect those of his employer, or those of any other of his professional affiliations. Categorized under: Funding, Science, Science publication. Tagged with: Open Science, Science and the public, science culture, science publication. As an unfunded but active researcher, I would welcome the existence of an open-access journal that does not have author fees. I think that direct subsidy of journals by funding agencies is by far the better solution than having author fees that are taken out of grants. This journal wouldn’t be the first to publish reviewer comments. EMBO currently does this, although it is not highlighted strongly. Reviewer and editor correspondence to the author is available for these papers. So far I’m not aware of anyone paying very close attention to these. I didn’t know that about EMBO J (and its other publications) – thanks, Jesse. These sorts of firewalls are pretty common in scholarly publishing. Is it a conflict of interest when Cambridge University Press publishes a paper by a scientist from Cambridge? Cold Spring Harbor Laboratory Press a paper from a CSHL researcher? The National Cancer Institute is part of the NIH, a major funder in cancer research, yet no one seems to question the integrity of the Journal of the National Cancer Institute. What about EMBO, another funder that publishes a journal? Why is this new journal any different?